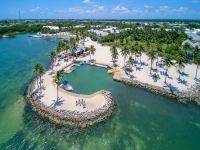 From savings on our luxury dining options to complimentary watersports each day, get the VIP treatment during your Florida Keys vacation. The paddle sports are limited to one 1-hour rental per day. The 1-hour rental must be redeemed each day of your stay and cannot be combined. Paddlesport rentals are first come, first serve and subject to weather conditions. This offer does not apply to existing reservations. Rates do not reflect an additional $35.00 per night resort fee and 12.5% applicable tax. Savings vary based on availability and dates of stay. Deposit and cancellation terms and conditions vary depending on dates of stay. Please call 855-818-3721 to confirm your date-specific deposit and cancellation policy.